Bill that would create a virtual right to pump for high cap wells sees 9am hearing on March 15 in the Capitol. Can it be fixed? 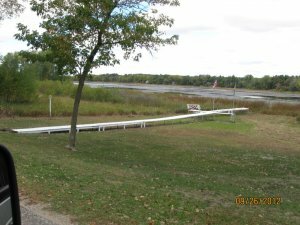 A bill loosening regulations on high capacity wells in Wisconsin will be heard in a public hearing scheduled for Wed, March 15 at the State Capitol in Madison. The Senate and Assembly Committees to which the bill has been assigned will meet in joint session for the hearing, which will begin at 9am. The bill (SB76 in the Senate, AB105 in the Assembly), released in late February, is substantially similar to a bill that failed to pass both houses of the legislature in early 2016. It would prohibit the state from reviewing a high capacity well’s permit when it is repaired, reconstructed, replaced, or transferred. Because this would leave such wells with no time in which their permits are reviewed, the bill creates a virtual right to withdraw water that would never expire. In addition, the bill would create a study of several watersheds in the Central Sands area of central Wisconsin, where pumping of groundwater causes a reduction of flow in some streams and drop in lakes levels, in some cases draining entire waterbodies. The Senate Committee on Labor and Regulatory Reform, along with the Assembly Committee on Agriculture will hold a hearing on SB76/AB105 next week. According to the official release announcing the hearing, a time limit on speakers may be imposed depending on the number of people wishing to speak, and the hearing will end at 6pm regardless of whether all registrants were able to speak. Registration to speak is handled at the hearing. Wisconsin Lakes is OPPOSED to this bill as currently written. Creating a virtual right to withdraw for currently permitted high capacity wells, as this bill does, creates a dangerous situation for Wisconsin’s waters. It makes it nearly impossible to manage water use if a well or wells are causing impacts to waterbodies, or for that matter, other wells of any capacity. As more pressure is placed on groundwater sources, it’s likely that at some point new wells would be disapproved for lack of water, even though current wells continue to pump while causing damage. Wisconsin deserves a reasonable groundwater management strategy that works for the benefits of ALL users – not just current high capacity pumpers (found mostly in agriculture and industry). What’s really unfortunate is that an incredibly simple fix would solve this problem while also allowing for repair, reconstruction, replacement, transfer of wells without review. Right now, high capacity well permits have no expiration date. Setting a periodic review schedule for all wells would give the state the opportunity to manage groundwater quantity issues as they arise, but not hinder maintenance or transfer deals. 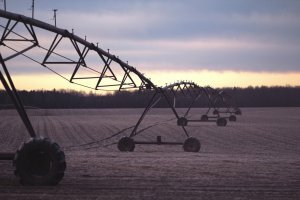 Wisconsin Lakes would likely drop opposition to this bill if periodic review was made a part of it, because we could then see it as balancing support for agriculture with a reasonable tool to make sure groundwater capacity is not being overstretched. The bill as written, however, sets the state down a path of likely future water conflicts, as waterfront property owners, and lake and river organizations continue to advocate for the protection of their waterbodies, and as water use conflicts between high capacity well users lead to lawsuits and pushes for new legislation. While the Central Sands seem to have been studied sufficiently at this point to know we have a problem, Wisconsin Lakes is not categorically opposed to the type of study called for by the bill. We are concerned, however, that the watersheds singled out by the bill for study are sufficient, that some of the study specifics are oddly conceived, and that separate authorization for funding would need to be obtained. It’s not a bad idea – it just needs some clarification. But looking at the big picture again, Wisconsin Lakes believes that if we do this right – right now – Wisconsin can craft a sound groundwater management strategy before even bigger problems arise. This bill takes the state in the wrong direction.